Parents, teachers and librarians are special to Kids Book Review. We believe they have the toughest and most important jobs on the planet (and beyond), and we love what they do for kids. Following you will find a fabulous line-up of KBR resources. Sensational articles from both KBR contributors and guest posters. Book lists are an ideal way to source topic-specific or age-specific groups of books at a glance. They can be used in the classroom or at home. This list is being built over time - if you have a book list theme you'd like to see added, let us know! KBR currently holds a database of over 2,500 reviews (and rapidly growing! ), so to make your book browsing easier, we've provided a series of labels that help narrow reviews down by content and theme. Here you will find an A-Z listing of teachers' notes on certain book titles as well as links to a slew of publisher sites, with countless resources for teachers, librarians, educators and parents. Please email us if you have notes you would like to share on the list. For literary organisatons and writerly support. 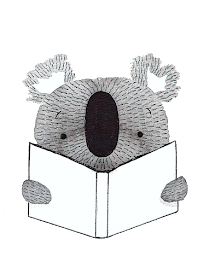 KBR has some very, very clever friends who host some sensational sites, packed with literary resources and opportunities. Yes, we have our own little eBooks! Choose from such topics as picture book writing tips, social networking for creatives, and how to get your book reviewed. From foreign language and wordless, to artsy and truly beautiful, KBR Founder and Editor-at-Large, Tania McCartney, showcases her favourite picture book finds. For picture book aficionados.